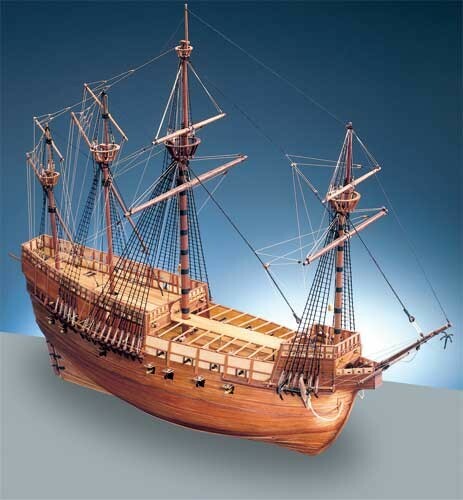 Faced with the ever present threat of the French Navy, as well as a strong, potentially hostile, Scottish fleet, Henry VIII embarked on a program of naval building, including the Mary Rose and the Peter Pomegranate. 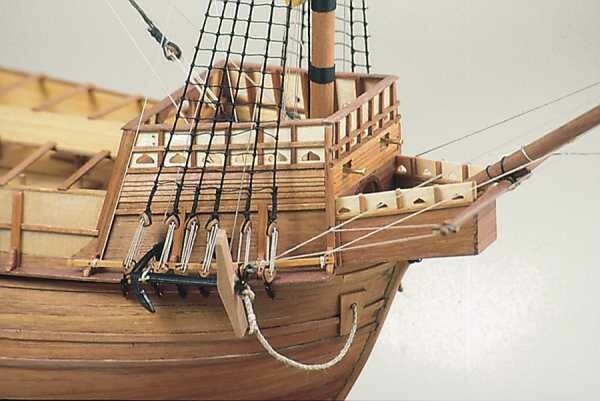 From a technological point of view, these ships were a radical departure from those of his father (Henry VII). They were carvel rather than clinker built and equipped with heavy guns mounted near the waterline. The introduction of the carvel hull also facilitated the construction of watertight gun-ports. The Mary Rose is believed to have been named after the King's favourite sister, Mary, and the Tudor emblem, the Rose. The Mary Rose is thought to have been constructed in 1510 at Portsmouth but, while the loss of the Mary Rose is well documented, the construction of the ship is not. There are however a few documents that provide important clues as to where and when she was built. 2) The case for the ship being built in Portsmouth relies on several documents in the State Papers. In 1510, money was sent to Brygandine for the repair of the Sovereign in Portsmouth dock and the making of the Regent. Money was also paid to him for the 'same' for the Mary Rose and the Peter Pomegranate, two new barks and two new row barges, during a period from 29/7/1510 to 20/9/1511. A further letter sent by Brygandine to Palshide concerns money received for the 'new making' of the Mary Rose and the Peter Pomegranate. While not directly stating that these two ships were built in Portsmouth, the coupling of the repair of the Sovereign in Portsmouth with the 'new making' of the Mary Rose is rather suggestive. Also, perhaps the strongest evidence for the Mary Rose being built in Portsmouth comes from John Duance's Accounts, produced in 1514. In these, there is a payment of £120 to Richard Brygandine for conveying the Mary Rose and Peter Pomegranate from Portsmouth to the Thames. 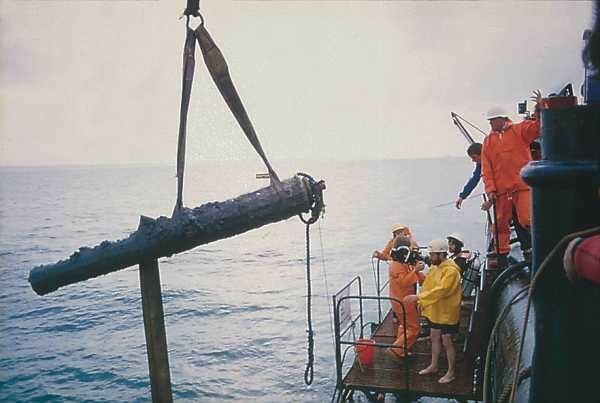 There are also a number of possible explanations for the sinking of the Mary Rose in the Solent on the 19th July 1545 but it is believed that the ship began to heel as soon as the sails were raised - either due to bad seamanship or poor ballasting - and water entered the ship through her lower gun ports, still open after firing. The Mary Rose lay on her starboard side at an angle of approximately 60 degrees. She had sunk through the soft upper sediments and had come to rest on the clay below. The hull acted as a silt trap for the Solent currents, and the surviving portion of the hull filled rapidly, leaving the port side to be eroded by marine organisms and mechanical degradation. Because of the way the ship sank, nearly the whole starboard side survived intact, excluding the bow and a portion of the aftercastle. 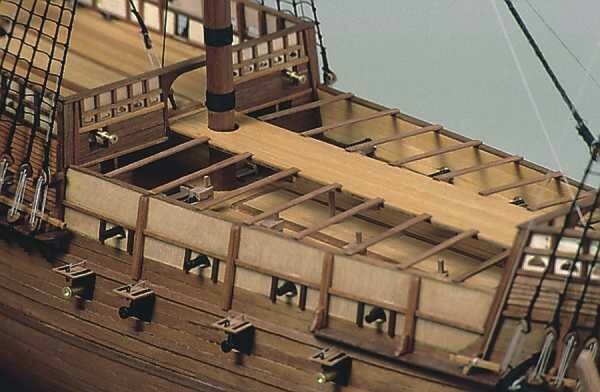 Internally between half and one third of the orlop, main and upper decks, along with a fragment of the castle deck were intact, as were ancillary structures such as the companionways, stanchions and cabin partitioning. During the 17th and 18th centuries the entire site was covered with a layer of hard gray shelly clay, which minimised further erosion.